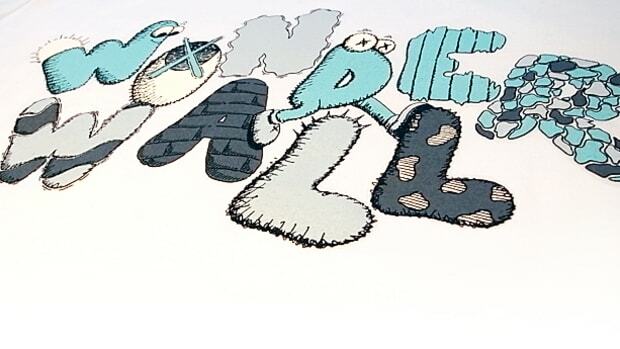 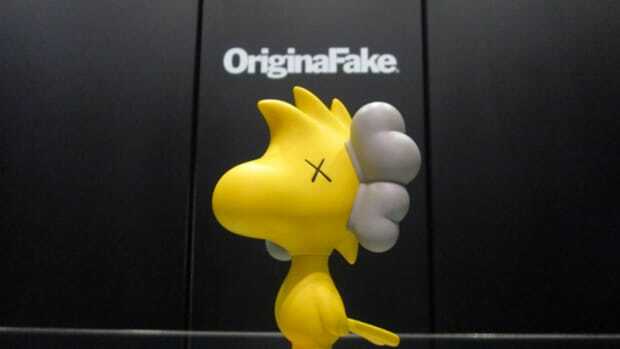 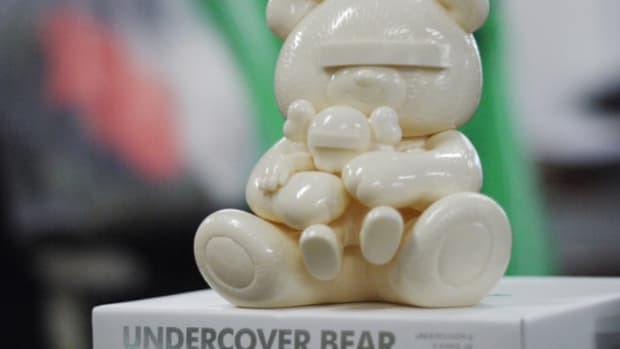 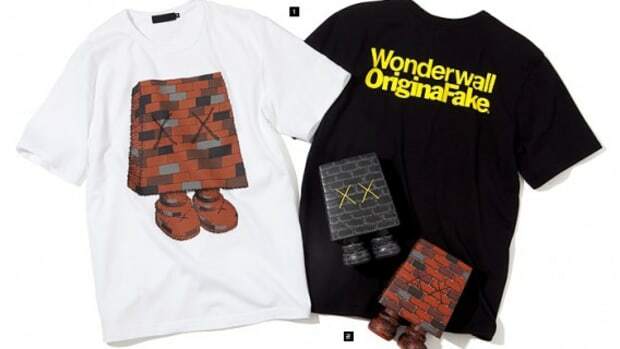 It was last year that KAWS and Japanese architecture firm Wonderwall got together to produce a collaborative t-shirt in conjunction with OriginalFake. 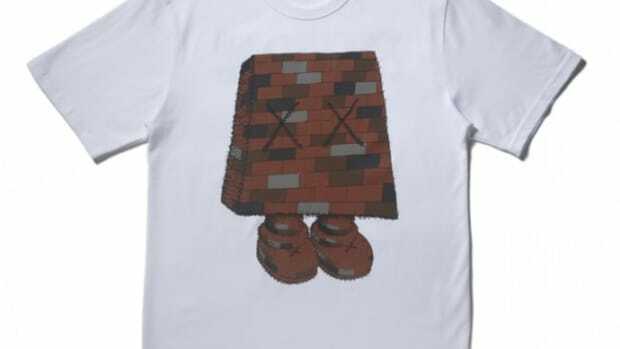 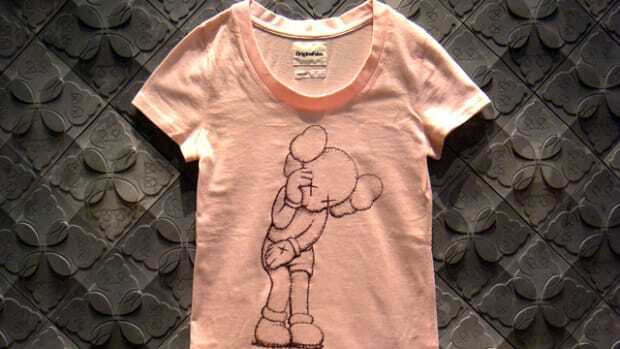 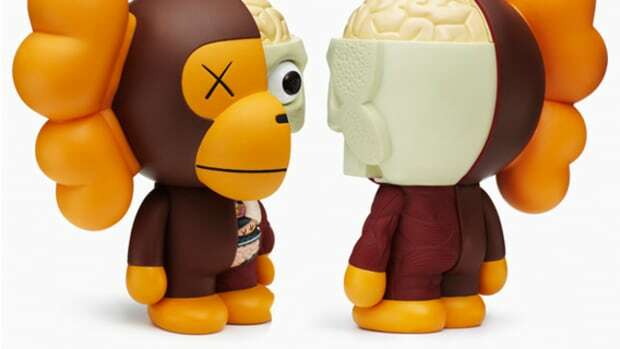 KAWS designed an original character which was a wall with two Xs for eyes and a pair of feet which appeared on the front of the t-shirt. 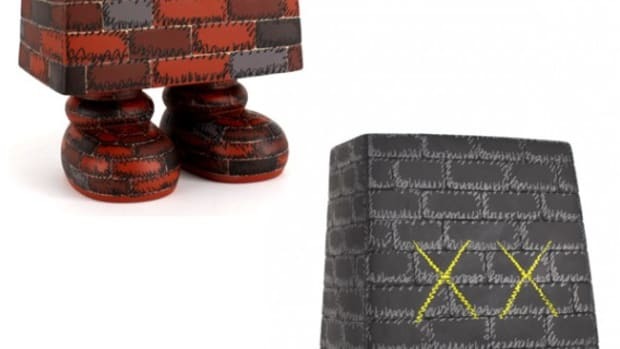 It was recently revealed that they will be teaming up again to make three dimensional figures of that character. 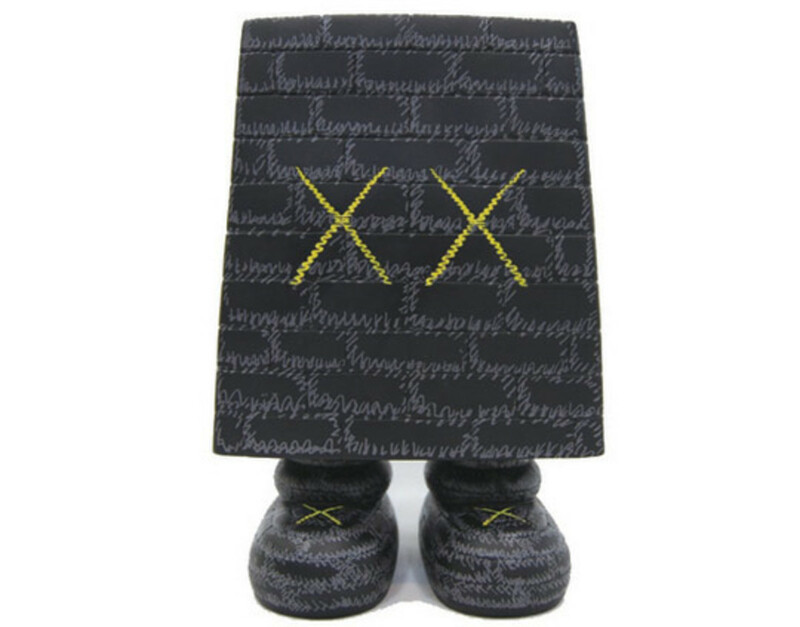 Two versions will be made in monotone black/grey/yellow and full color brown/grey/black color combination. 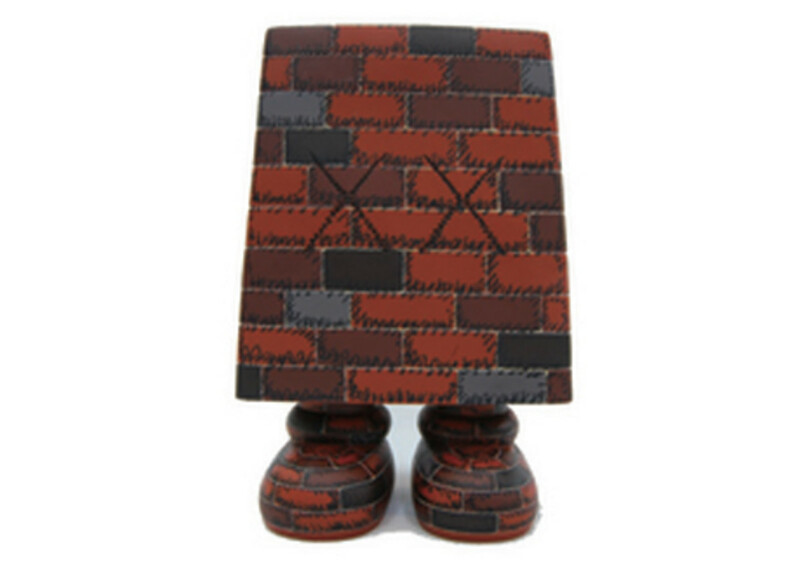 The figure measures at 22 cm tall and should see them releasing soon.